Saturday, March 9th, 2019 at the Campbellton Regional Hospital at the age of 93, passed away Mr. Rene Allard of Eel River Crossing, husband of Mrs. Hilda (born Leblanc) Allard. He was the son of the late Rosanna (born Savoie) and late Gaspard Allard. 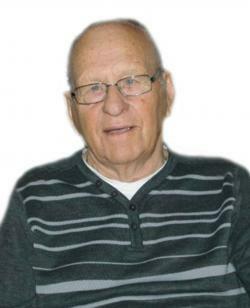 Besides his wife Hilda, he will be sadly missed by his children: Marcel (Diane Doucet) of Moncton, Lea of Moncton, Gilles (Brenda Lawlor) of Dalhousie, Sylvie (Patrice Roy) of Moncton and Joanne (Henri Doucet) of Charlo; his 18 grandchildren and 20 great-grandchildren; his son-in-law Yvon Bujold of Eel River Crossing; his sisters: Lea (Alexandre Methot) of St. John and Elisa of Charlo also by many members of the Leblanc family, nieces, nephews and friends. He was predeceased by his son Adrien, daughters Louise & Marie, his parents, his sisters & brother: Albertine Gauvin, Marguerite Proulx and Donat Boudreau. Funeral mass will be held on Wednesday, March 13th, 2019 at 11 am in the Holy Trinity Church, Eel River Crossing. Mr. Rene Allard will rest at Savoie Parlor, situated at 10 Church St., Eel River Crossing, on Wednesday morning (March 13) from 9:30 till time of funeral. A donation to the IWK Hospital would be greatly appreciated by the family.